Many people are fond of ladybugs because of their colorful, spotted appearance. 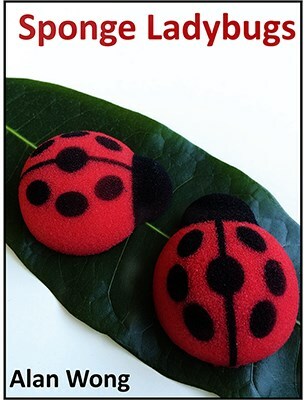 Now you can do regular sponge balls magic with these cute little sponge ladybugs and build immediate rapport with your audience! They don't roll off tables! Create your own ladybug story and do some magic with them! Plus a basic two in the hand one in the pocket routine: Where you show 3 ladybugs, one is taken away and it keeps coming back then in the end all 3 ladybugs have magically disappeared.